XENA: WARRIOR PRINCESS - duckys-autograph-worlds Webseite! A really cool and polite guy. He took his time fpr every fan and was pbviously really interested in them. I really enjoyed my little conversation with him. I fetched this autograph personally at the Weekend of Hell in Oberhausen on November 8th, 2015. 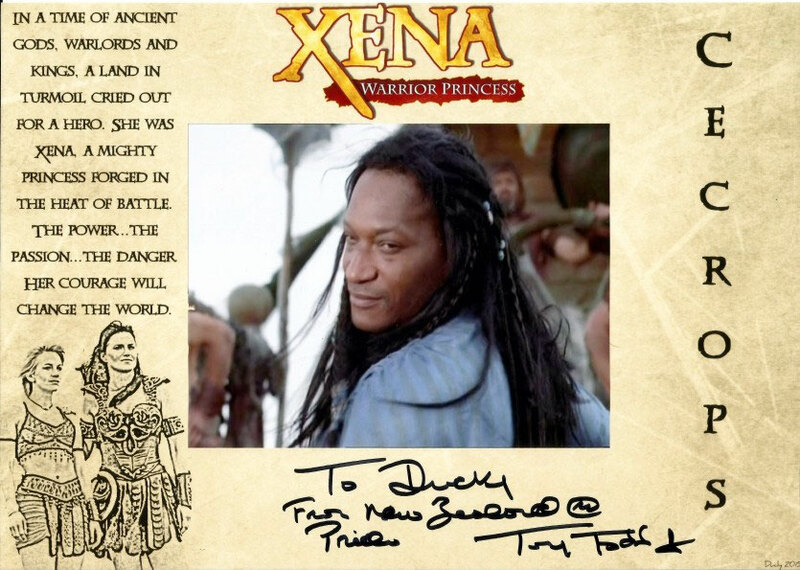 Tony remembered how much he liked the character of Cecrops and said he was asked to play him once more but decided not to because he preferred to play a lot of different roles. 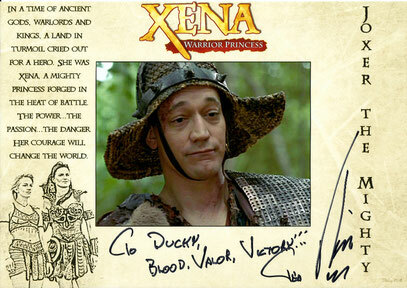 He mentioned how enthusiastic the fans of Xena: Warrior Princess are. 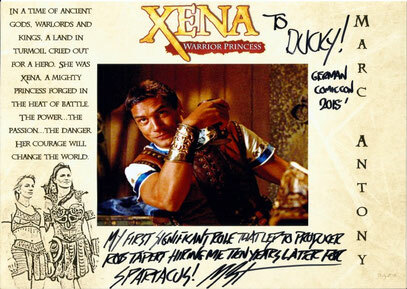 When my friend Irina mentioned she just recently became a fan of the show, Tony said "Xena fans are like rabbits". 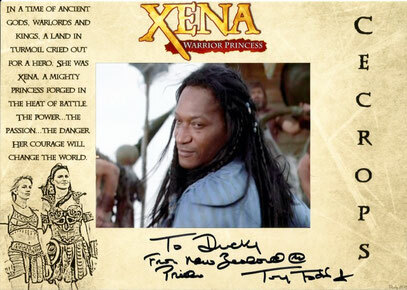 We also talked about the upcoming new Xena show.